Fixtures are the accents to your home that make it fashionable. Unlike remodeling or new construction, you can swap out fixtures with ease, making them the diamond jewelry of your home. Here are three fixture styles trending in 2014. If you want to commit to some work that’s a bit more than just swapping out some knobs, but a bit less than completely remodeling your bathroom, new sinks, toilets, and showers can add some style to any home. 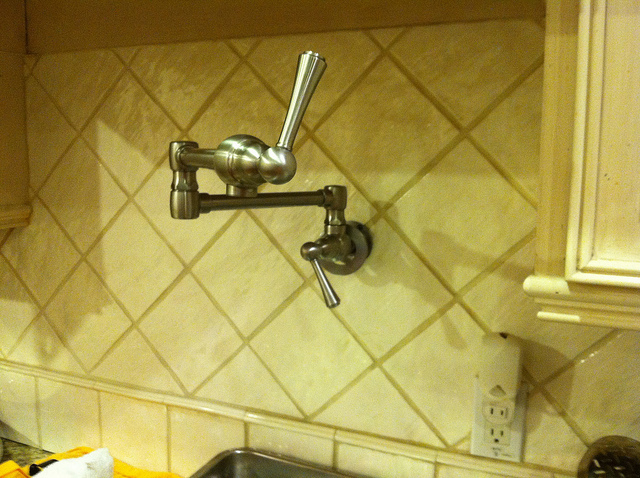 The trend is towards hiding plumbing fixtures in the walls and selecting more angular, square fixtures. This isn’t to say that they’re severe; the edges are rounded both for safety and to soften the lines just enough to make it different without making it look too industrial. As far as colors go, believe it or not white is still very, very popular, but keep an eye out for fixtures that use primary blue accents. Blues in general are becoming more popular, especially shades that lack any hint of greens to them, and will add a hint of color and pop. Look for lighter blue to give your bathroom a vibrancy beyond just dazzling white. Remember, even a subtle change can make a big difference in your home décor. By tweaking your fixtures and making careful choices about what to buy and how to match, you can give your home a stylish spin unlike anything your friends have ever seen, and a unique look any Miami homeowner will be proud of. A Scarabeo sink will cost you, but it’s worth it. For a high-end fixture from Scarabeo or Tecla, expect to pay between $500 and $800 for a single faucet fixture, and up to $2,000 for a double faucet. If you’re looking to save, though, you can get similar styles from Kohler for between $150 and $200. 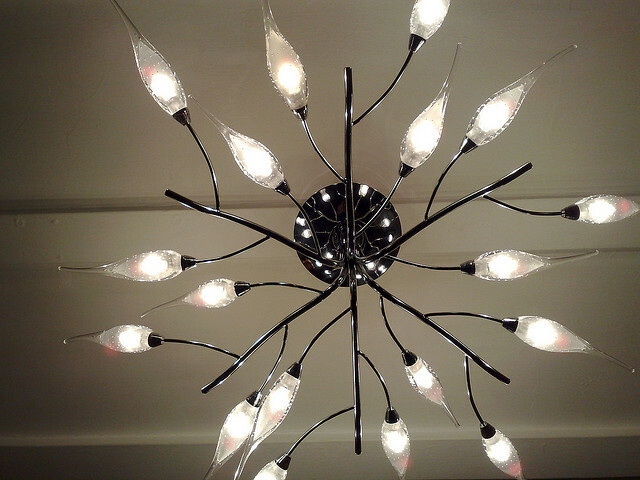 In lighting fixtures, the name of the game is glass. Glass blowing has become more and more common and fixture manufacturers are experimenting with different designs and colors when it comes to glass. 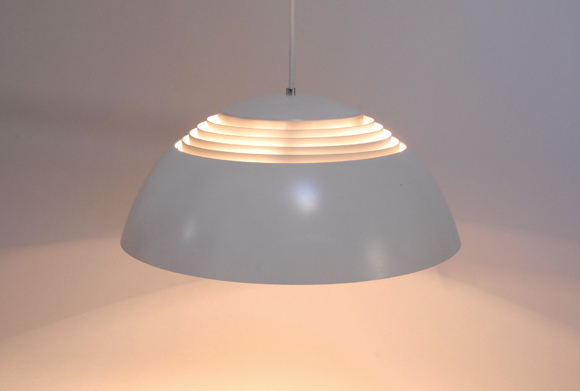 Especially trendy right now are “pendant” designs, where the fixture hangs straight down from the ceiling from the cord or the cord is contained in a flexible covering. It’s much more attractive that standard hanging fixtures, which simply twine the cord around the chain used to hang it from the ceiling, and it’s also more modern. Generally you should use pendant fixtures in numbers, such as arranging four over a kitchen counter or hanging several in a pattern over your dinner table. Best of all, the limited materials used means that they’re offered in more styles and metals than standard fixtures; you can match your faucet and your lighting fixtures more much easily and better demonstrate your sense of décor. Lighting prices will depend heavily on the fixture. Proper lighting installation will require an electrician, and it’ll also require a good budget; a custom lighting fixture can run you $2,500 or far more depending on the artist you hire and the size of the fixture. Pendant lighting adds style while staying discreet. This pendant is a good example of high quality at a low price; you can pay as little as $35 per fixture for a simpler light and still get a stunning effect. Chrome is, of course, the classic for fixtures of all sorts; we’ve all seen plenty of chrome faucets in homes from the beautiful to the pedestrian. But it’s annoying to clean, and more to the point, it’s not particularly unique. Increasingly popular are more matte fixtures, in colors such as antique brass or brushed nickel. A nice, oil-rubbed metal will give you both the stunning sheen you look for in a fixture, while also giving your bathroom a different touch. As a bonus, it’s easier to clean and less likely to be mistaken for a cheaper fixture. Even chrome and steel fixtures from major designers are mistaken for knock-offs constantly. Grohe is high quality, but it’ll cost you. 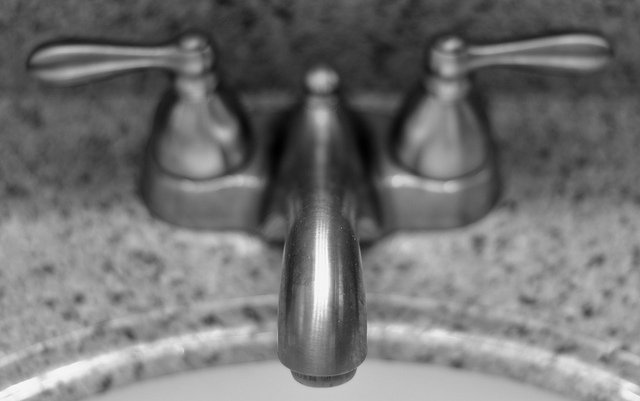 Faucets you can generally install yourself, which is a good thing because fixtures from a high-end company such as Grohe can cost $900 or far more depending on the extras you choose. Brushed and oil-rubbed textures give your fixtures subtle style. 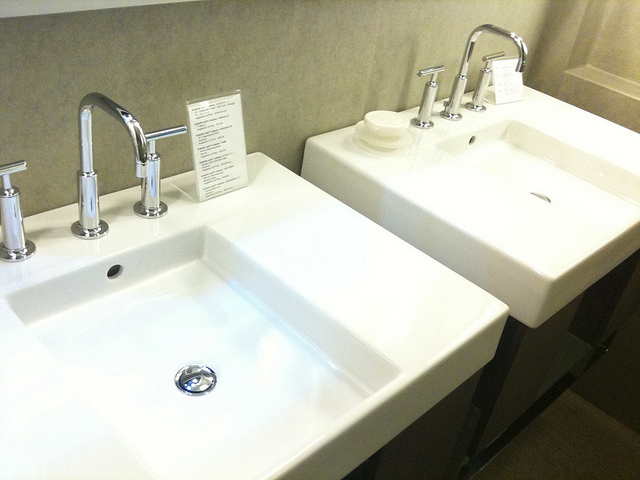 Even low-budget fixtures can be attention-getting; this Kohler faucet, complete with handles, runs just $300. 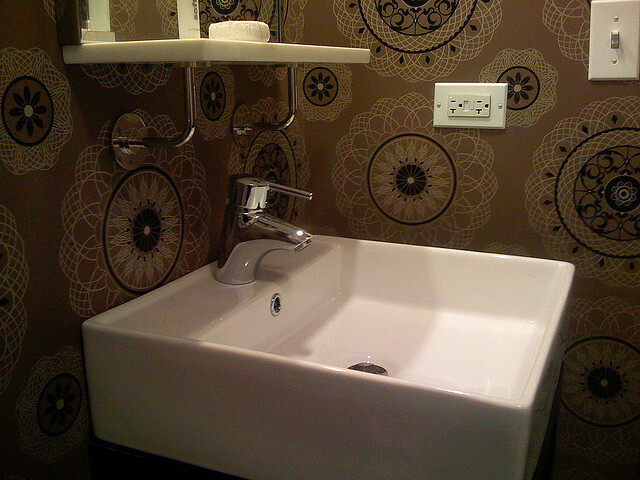 This entry was posted in My Blog and tagged brickell, brushed, chrome, contemporary design, contemporary interior design, decoration, efficiency, faucets, fixtures, grohe, interior design miami, knobs, kohler, lighting, modern homes, nikel, One Cornwall Terrace, pendant lighting, porcelain, sink on September 17, 2013 by admin. Even visible speakers can be incorporated into your home decor. 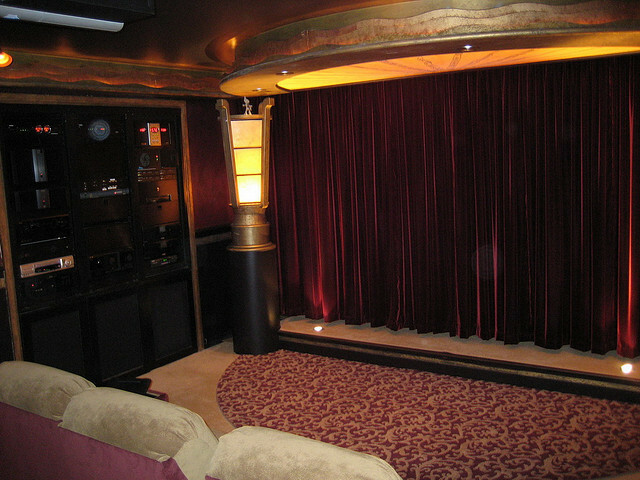 Home theaters are becoming more popular as home theater technology gets better and better. Things like 3D televisions, 7.1 sound systems, and crisp video playback…a well-built home theater can be like having a private screening room. That said, though, there are things you need and things you don’t for your home theater, and what they are might surprise you. The first and most important step is deciding where everything will go. For example, placing your television behind a window will both block the sun in a room and draw undue attention to it, making it hard to watch and distracting. Putting it on a wall opposite the windows may make it difficult to watch during the day. Before buying and installing, do some measuring and thinking; properly placing an integrating your home theater into your home will mean fewer arguments and a happier home. The foundation of every home theater system is the amplifier. To understand why, you need to understand how speakers work. Essentially, all speakers really do is push air at certain frequencies that the electricity flowing in tells them to push at; but, the more air you want to push, and the more energetic the frequencies, the harder it is to push. An amplifier gives your speakers just the right amount of power; overpowering might trash the speakers, and underpowering can result in distortion. Pair your amp with your speakers carefully, and your theater will sound that much better. It’s very rare that you want your home theater to dominate the room, but if you put a gigantic television and thumping sound system into your living room, it’ll draw attention even if you don’t turn it on. It doesn’t help that many systems are designed to look cool, not blend into your home décor. Look into touches like home automation that tucks screens and speakers away, or building a cabinet into the wall that lets you keep your living room as a multipurpose space. This might be a bit of overkill. Getting perfect sound requires placing your speakers properly. There’s a specific place in each room where the speakers and the acoustics align to create a perfect listening spot. It may not always be ideal to create this, but where possible, you should try to do so. Beyond that, think about how the space will be used; will you and your friends be watching and discussing TV shows and sports games? Will you be sitting in appreciative silence watching a movie? Place your speakers for the best effect to get the most out of your system. Unfortunately, making all home theater technology wireless is a work in progress; there aren’t really any solutions at the moment that rival their wired cousins. That means you’ll need to choose wires and cables carefully, and also look for solutions to hide them. One popular method of organizing and tucking cables away is to thread them through the walls; that way, you have fully wired speakers, but also flawless home décor. If that’s not an option, look for cables that can be painted over, or consider covering them with electrical cord covers; there are quite a few available at your local hardware store. Whichever methods you choose, remember that you can have a home theater in your home without it dominating, and a well-designed theater makes a home that much better. Happy shopping! This entry was posted in My Blog and tagged amplifier, blu-ray, brickell, cables, contemporary, contemporary design, contemporary interior design, decoration, design, dvd, electronics, flat screen tv, florida, home, home theaters, interior design florida, interior design miami, miami, miami beach, plasma tv, projection tv, projector TV, speakers, stereo on September 3, 2013 by admin. The right fabrics make all the difference. Miami is a beautiful city, but it can be a tricky one when it comes to home décor. The heat and humidity can make finding the right fabrics for your home a tough choice. 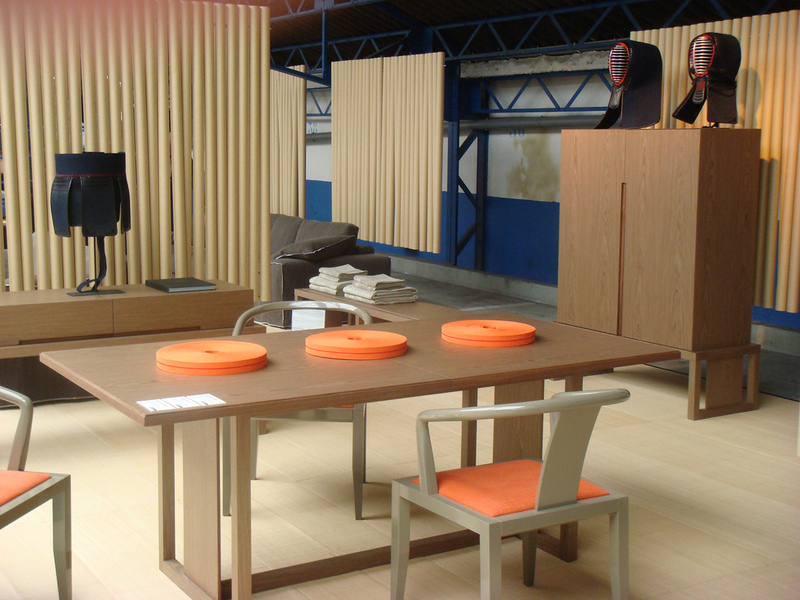 But have no fear; there are fabrics that work with the weather, and will give your home that luxurious feel. Here’s what works for your Miami home. Yes, cotton; it’s not just for your clothes and your sheets, it’s also for upholstery. Cotton is ideal because it can fit into any budget, be dyed to fit any design scheme, and best of all, it breathes. In a climate such as Miami, your home furniture needs to use breathable upholstery in order to be comfortable; otherwise, you get that awkward, sticky feeling that we’re a little too familiar with thanks to visiting Grandma on a hot day. That said, get upholstery with a high thread count for a soft, luxe feeling, and use it for furniture that sees moderate use or less. Hemp has, for far too long, been the province of crunchy-granola types and burnouts. It’s time to take this fabric back and use it where it belongs as the luxurious natural fiber of choice for your furniture. Hemp is not only breathable and soft, it can take quite a lot of abuse. Hemp fibers are tougher than even the brattiest child or the most ill-behaved pet. Like cotton, it takes to dyes and patterns extremely well. Use hemp for furniture that sees a lot of use; it won’t wear out and will give you plenty of time. If you want comfort and breathability, linen is going to be your fabric of choice. Remember, true linen is made from fibers from the flax plant; any other kind of “linen” is not true linen. It’s referred to as such largely thanks to the weaving method used, but won’t offer the same freshness. Linen is actually best used not for upholstery but for curtains, pillows, and other accents. It wrinkles and stains more easily than some fabrics. It can also take some of the humidity out of the air because it absorbs liquids well, which is just another reason to keep it out of the reach of red wines and sodas. Leather has always meant luxury. Finally, there’s the classic upholstery choice of leather. It may seem odd to say that leather is the best choice for a humid, warm climate like Miami, but it does have a few advantages. First of all, if you air-condition your home, leather releases its heat quickly and effectively, making your leather furniture cool and comfortable to the touch. Secondly, well treated leather can withstand a lot of damage and brush off spills and accidents without staining. Finally, it’s easy to clean; you can buy wipes from leather furniture stores that can easily clean the sofa. 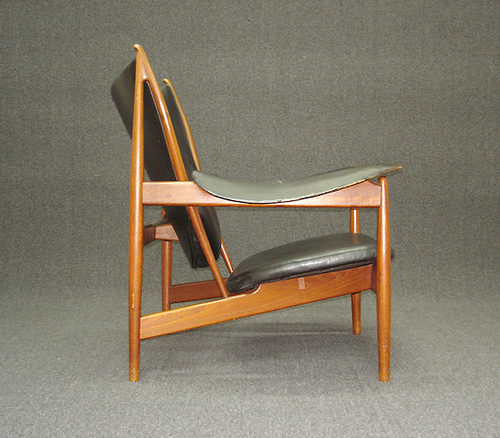 Of course, it’s luxurious; leather is considered the best kind of upholstery for a reason. There are other fabrics, but these are the best you’ll find for home décor in the Miami area. Factor them into your design and you’ll find they give you the pop your home needs. This entry was posted in My Blog and tagged brickell, contemporary, contemporary design, contemporary interior design, cotton, decoration, design, fabric, fabric swatches, florida, hemp, interior decorating, Interior design, interior design florida, interior design miami, leather, linen, miami, miami beach on August 27, 2013 by admin. Taste and forethought lets you put speakers anywhere. 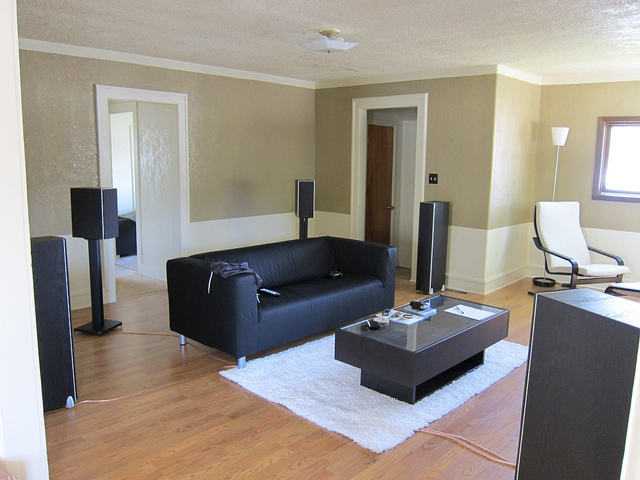 If you want the very best in speakers mixed with the highest end of home design, it’s going to take some work. But don’t despair. You don’t have to choose between your Roche Bobois seating and your sleek, stylish speakers. There are all sorts of options to bring your taste for the best in both together without it clashing. One of the simplest methods to have your speakers fit in with your décor is to blend their designs. For example, you might place your front facing speakers in a fresco or wall design that’s patterned around your speaker’s baffles, or you might simply have a contractor create some nooks on either side of your flat screen or your stereo so the speakers recess into the wall and only draw attention when you want them to. You can even build screens or shutters across these alcoves so, when not in use, your speakers are protected. This gives you an added advantage of being able to tuck wires into areas specifically designed for them, letting you access them when needed and hide them when not. It will depend, however, on whether you can carve out a section of the wall; speak to a contractor about whether this is possible. Also, you’ll need to place your speakers carefully to avoid acoustics problems. Another way, especially if you have room, to blend things is to create a specific environment where your audio equipment helps to dictate the design. This has its advantages; you can construct a more discreet sound system for the larger house to entertain guests and for day-to-day use, and even tie it to your equipment so you have total control of the playlist during parties. When you truly want to enjoy your music, you have an oasis of sound built specifically for your gear with better acoustics, soundproofing, and defense against power surges and other threats to your equipment. You will, however, need to speak with a contractor about how feasible this is in your home, and soundproofing is practically a must. Hiding speakers can be done in walls, furniture, even floors and ceilings. Another method is automation. Speakers, monitors, and other audio-visual gear can be hidden behind discreet panels and screens that open at the click of a button. It’s especially useful if your taste in gear means most other methods won’t work, and we won’t pretend it’s not a lot of fun. It is, however, relatively expensive and depending on what’s possible may limit your choice of components. The most direct option, of course, is to simply build your speakers to match your décor. Remember, it’s not the outside of the enclosure, per se, that matters, but the acoustics on the inside and the tolerances your drivers are engineered to that gives you those rich tones and perfect fidelity you want out of your music. That said, it is recommended that you contact the speaker manufacturer directly about custom enclosures; they may offer options you might not be aware of, and there may be engineering factors at play. You may even be able, depending on the manufacturer, be able to paint or decorate the enclosures, but check carefully before deciding to do so. This may affect the sound. No matter how you choose to pair your speakers and your décor, know that you don’t have to compromise on either. You can have the very best of both. You just have to think carefully as you integrate them. This entry was posted in My Blog and tagged automation, brickell, contemporary, custom design, design, environment, interior decorating, Interior design, interior design miami, miami, miami beach, technology on August 20, 2013 by admin. Regional home shows are a brilliant place to find the best ideas in design. Different regions have different climates and concerns, and as a result, there’s a staggering variety of ideas. Here are just a few ideas from the recent Miami Home Show to consider. Everyone at the show was looking for lights, appliances, and especially home electronics that sip power instead of guzzle it. Energy efficiency in areas such as home theater has made enormous strides, saving you on your power bill while putting better materials and designs front and center. Home theater devices in particular are a key focus because they’re improving so rapidly: Every year, flat screen TVs, speaker systems, and media players are re-engineered to offer more quality for less energy. Especially for homeowners who first built their systems with the rise of DVD and haven’t been keeping up with home theater since, it’s an effective way to make your house that much better. Hard flooring is rapidly becoming more popular for several reasons. First of all, it’s environmentally conscious; most carpet made from renewable materials is more expensive and harder to make compared to flooring materials such as bamboo. New materials and designs are added constantly, given homeowners a wider choice. It’s health conscious: hard flooring doesn’t trap allergens, and it’s easier to clean, making it particularly popular among Miami’s elderly population. And it can improve home acoustics to a surprising degree, making it appealing to music lovers. The rising prices of movie theaters, and the rising quality of home video and streaming options, are making home theaters more and more popular. In addition, large living rooms are making it possible to add more components, especially as components keep shrinking and more ideas are developed to place speakers and monitors in just the right position. Even a high-end system will save you a lot of money in the long run as ticket prices keep going up, and getting a theater grade experience is easier, and cheaper, than ever. Instead of completely rebuilding or adding onto your home, homeowners are increasingly doing smaller work, which is more budget-friendly and more time-conscious. Examples include automating a home theater system to fold into a wall, repainting a few rooms and adding flooring, and even adding different throw pillows to brighten a space. 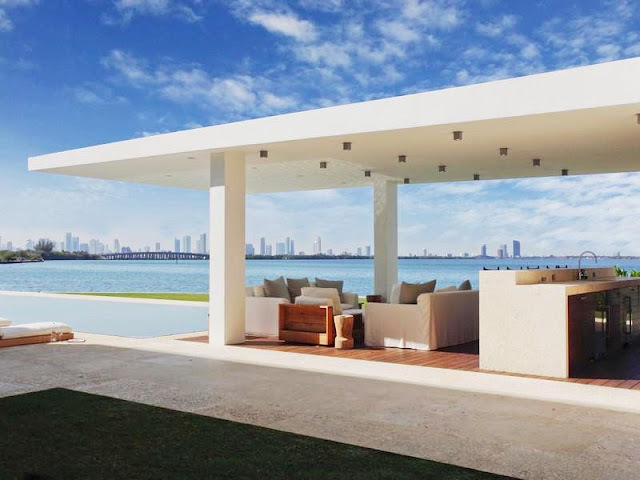 Miami being Miami, it often has gorgeous weather, and as a result, home ideas are making the most of it. It helps that improving your outdoor spaces is often less of a remodeling commitment. Additions such as fire pits, energy efficient lighting, and outdoor audio systems not only add to your enjoyment of the home but add to its resale value as well. 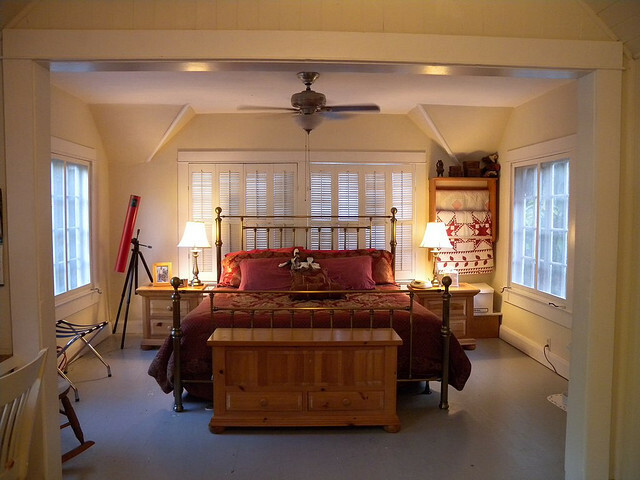 These are just a few of the ideas you’ll find when it comes to home redesign. Whether you decide to automate your home theater, dig a fire pit for grilling burgers, or install hard flooring to help keep your home clean and filled with the sound of music, there are dozens of options to improve your Miami home. This entry was posted in My Blog and tagged brickell, contemporary design, contemporary interior design, decoration, energy efficient, flooring, florida, hard flooring, hard wood floors, home theaters, interior design miami, miami, miami beach, miami home show, modern homes, remodeling, surround sound, wood on August 12, 2013 by admin. Finding good speakers is relatively easy these days. Better driver technology, enclosure design and advances in the study of acoustics mean that even mass-produced speakers have better sound than speakers even a few years ago. That doesn’t mean, however, that there isn’t still a desire to take it to the very, very top, like these five. The Organic Harmony from Shape Audio as inspired by organic design for the overall construction, as you might have guessed. In fact, as speakers, they’re fairly impressive. They can put out two channels of audio from the one housing, achieved largely through a two-inch tweeter and 5-inch mid firing away from each other, and an 8-inch woofer firing downwards. The baffle has to be specially 3D printed. It’s that elaborate. If you want them, you’d better be prepared to pay. The bronze units were $44,000, the silver ran $440,000, and the 18K solid gold cost over $6 million. 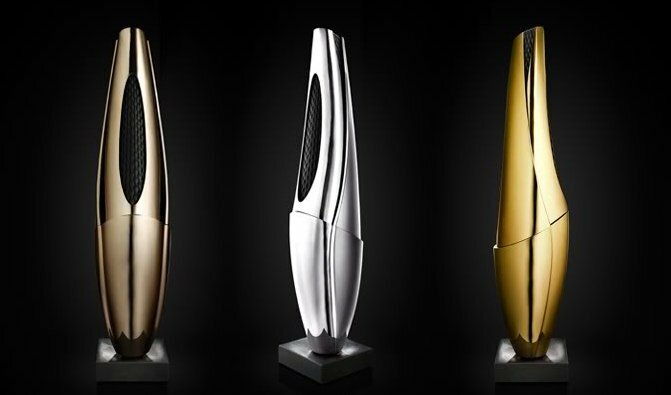 There was only one set of the gold speakers ever made. Kharma is well known for their expensive speakers, but those speakers are worth every penny. Or, at least, the individual who commissioned the Grand Enigma from them thought so. Carefully built to the highest standards, only one of these were ever made and they cost $1 million. Good thing they weren’t built out of solid gold! Choose a more modern system. If $6 million or more is just a little too rich for your blood, we understand. If you’re on slightly more of a budget, you can reach out to Transmission Audio, widely considered one of the best speaker manufacturers on the planet. Based out of Sweden, the only way to get their products is to contact them. You can discuss the job, explain what you want, and they’ll happily build your speaker system to order. Of course, this runs an average of $2 million, so you might want to be very precise about your acoustics. It’s pretty hard to get a refund. 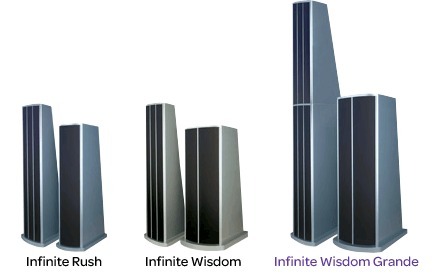 Unlike a lot of these speakers, the Infinite Wisdom Grande from Wisdom Audio isn’t built to show off you’ve got a lot of disposable income. 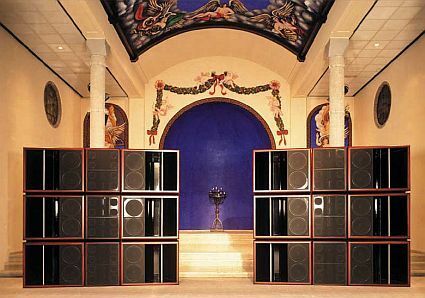 No, these are workhorse speakers, designed specifically for enormous environments such as palaces, ballrooms, and other locations where events are held and some JBLs on stands just aren’t going to cut it. The whole system weighs two tons, and each speaker in the system has a total of twenty-four drivers. It’s also cheap. Well, sort of. The whole set up will run you roughly $700,000, which, if you think about it, is a bit of a deal when you break it down per driver! Why not make your speakers a piece of art? The only speaker on here to have its own website, the look is driven entirely by getting the sound precisely correct, which is why this looks less like a speaker and more like modern art. But, hey, you can at least get a few for your home, at a relatively thrifty $630,000. The great thing about these speakers is that design filters down. Eventually, these will be replaced by even more refined and technologically advanced speakers, as we move closer and closer to the ultimate goal: Perfect sound reproduction. Until then, maybe start saving. This entry was posted in My Blog and tagged 3d printing, audio, backes and muller, brickell, florida, home, home theaters, kharma, mansion, miami, miami beach, millionaire cribs, sound, speakers, stereo, surround sound, wisdom audio on August 7, 2013 by admin. How Automation Can Complement Contemporary Design? 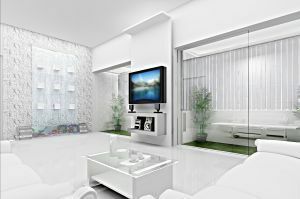 Think interior design and home automation technology are mutually exclusive? Think again. While home automation is a relatively new home addition concept, if planned properly, it can work hand in hand with and even enhance a home’s design. Check out these automation options that work well with modern design. Home automation may seem futuristic but it’s very accessible and very cool. Imagine being able to set the lighting ambiance of any room in your home with the simple touch of a button. Many exciting automation devices are making this possible and often at a very reasonable price. Some automation systems are available as smartphone applications while others come with their own high tech controllers. Whether you crave soft lighting for the evening’s dinner party or prefer bright lights for easy reading, automated lighting systems simplify the task of setting just the right mood. Automated lighting blends well with modern design by highlighting certain parts of a room, such as an abstract painting, while dimming the lighting in other areas. Certain lighting systems can even turn on the lights when a person enters the room and turn them off when occupants leave, thus drastically improving a home’s energy efficiency. Enhance the appeal of a room’s furniture, artwork and other elements all with an automated device or app. As environmental awareness continues to increase, most modern home designs now incorporate increased efficiency. From furniture made out of reclaimed wood to energy efficient light bulbs, new design trends are capturing the essence of efficiency. Now, home automation systems are complementing that efficiency. Just a few examples of automated systems that increase efficiency include intuitive and programmable thermostats, automated blinds and more. Imagine having an intuitive system that automatically turns off the AC and draws the blinds each morning and turns the AC back on each evening before you return home, all without you even having to think about it. 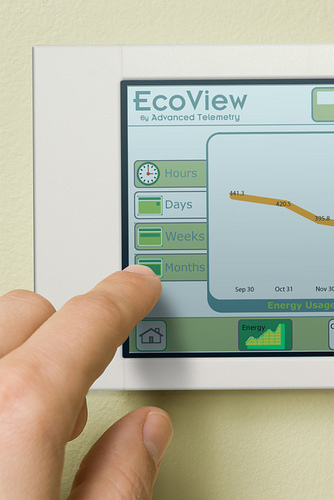 More advanced systems even adjust a home’s HVAC system based on the month’s energy consumption. Are you hosting a party this evening but are running late at work? No problem. Set the mood to complement your home’s modern design by turning on the music, adjusting the television and more, all from a distance. Many automated home devices allow you to set specific moods based on the evening’s plans. For example, you could create a mood for movie nights that will instantly adjust your home entertainment system, draw the blinds, adjust the temperature and dim the lighting, and it’s all done by touching one button. These features of home automation are all about simplicity and convenience and perfectly accent similar trends in modern home design. 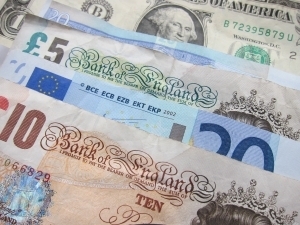 Tired of paying too much for utilities each month? Find the solution in home automation. Home automation may be a fairly new concept, but it’s already making a big splash in the home design world. From automatically setting a room’s lighting with the touch of a button to controlling your stereo system from anywhere in the home, there are many ways to complement and enhance your home’s design with automation technology. This entry was posted in My Blog and tagged automation, contemporary, design, efficiency, electronics, florida, home, Interior design, miami, smart home on July 30, 2013 by admin. The home automation industry is still in the early stages, but a few startups are already garnering attention. The best blend technology with sleek design. Take a closer look at these startups and maybe get in on the ground floor before they make it big time. 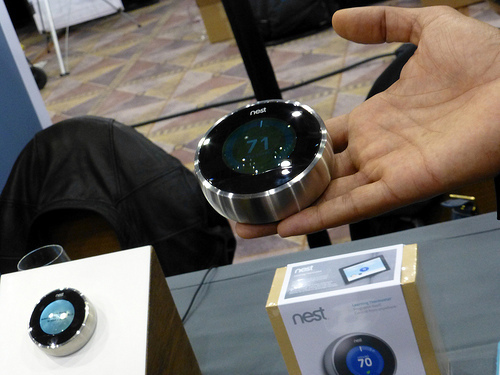 Automated systems such as the learning thermostat from Nest Labs are making big splashes in the home automation market. Nest Labs made a big splash in the home automation and energy efficiency market with the release of their learning thermostat. Unlike old school thermostats that must be left at one temperature for the entire day, the learning thermostat learns your schedule, programs itself and can even be controlled from your smartphone. If you train it well, the company’s learning thermostat may lower your heating and cooling bills up to 20 percent. It truly is the next generation thermostat and its sleek design is the perfect complement to modern and efficient home designs. An old school house key and lock don’t exactly complement an urban property design. KISI Systems offers the solution with cloud-based apartment or house access. Enter your apartment with the push of a button or grant visitors access even while you’re away on vacation. The system also provides access to such information as a record of when key holders have entered your residence and for how long. The system utilizes advanced security technology and also integrates with a traditional key locking system. If you happen to lose your smartphone, you can simply change your password and use your physical keys. iControl is making a name for itself in the home automation market by making the ‘connected home’ a reality for average consumers. By working with leading broadband service providers and home security companies, iControl offers next generation home management and automation services at an affordable price. The company’s automation solutions include interactive home security, energy management and home care. For example, the home security platform allows for distance monitoring of your modern home from your computer, smartphone and more. One of the best complements to modern home design is automated lighting. As a top light automation provider, Leviton offers automated lighting control solutions in wired or radio frequency wireless configurations. 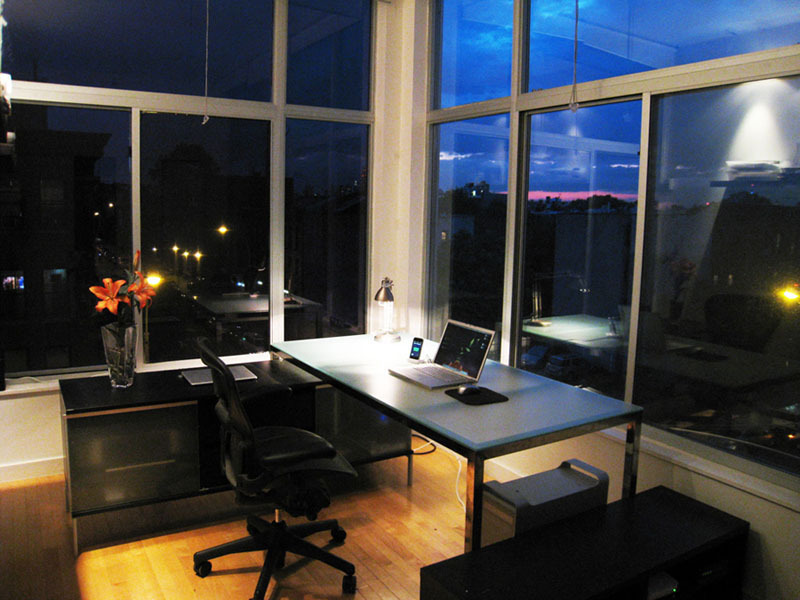 The company’s lighting solutions are offered for residential and small commercial applications. Whether you desire soft lighting to complement a modern dining room setting or need bright lighting in the kitchen or bathroom, the company’s automated systems allow you to achieve the perfect lighting with the touch of a button. Use the system’s presets to program your preferred lighting and simplify the task of brightening or dimming the lights at any hour. The company also offers a slew of other products aimed at improving energy efficiency and more. Home automation is new and exciting and several startups are leading the trend. From automating your home’s lighting to improving the property’s energy efficiency, learn how you can utilize the best of these startups to incorporate automation into your home’s design. 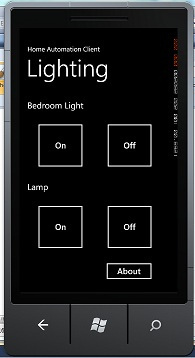 How cool would it be to control your entire home’s lighting with the touch of a smartphone button? This entry was posted in My Blog and tagged automated entry, automation, contemporary interior design, electronics, florida, home automation, icontrol, intuitive lighting, miami, nest labs, smart phone, thermostat on July 23, 2013 by admin. 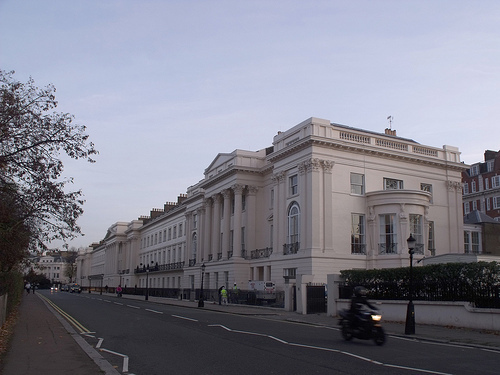 Recently, One Cornwall Terrace, located opposite Regent’s Park, became Britain’s most expensive home after selling for an astounding 80 million, and that was 20 million under the original asking price. The property sold with ease, largely because of the complete home automation system, but was it worth the price tag? Here are four reasons why the answer is a resounding, “Yes”. How would you like to call this swanky mansion home? Imagine being able to control your entire home’s lighting with a touch of a button. One Cornwall Terrace features iPad-controlled lighting. With 21,000 square feet and seven bedrooms, saying that this lighting automation offers convenience is quite an understatement. Yet, the property’s automation doesn’t stop with the lighting. The property’s high-tech security gates are also automated with a number plate recognition system. The system undoubtedly increases the owner’s sense of security and simplifies the task of allowing visitors in and out of the massive property. These features of automation and others are becoming increasingly important for property owners because of the convenience they provide and also for the increase they bring in property values. The notion that location is everything still rings true and was certainly an influencing factor in the selling price of One Cornwall Terrace. Sitting just opposite of Regent’s Park, the property is an impeccable status symbol and will remain a hot topic of conversation throughout the UK even after the selling dust has settled. A property’s design influences everything from the comfort it brings an owner to which features can be included in a renovation. As far as swanky features and endless space, One Cornwall Terrace has it all. The mansion boasts seven bedrooms, 11 bathrooms, nine reception rooms and an impressive catering kitchen with marble and limestone-lined halls in between each room. The property’s sports complex includes a gym and a swimming pool while the exterior features a 40-meter long landscaped garden. Each area of the mansion is impeccably designed and the layout offers an attractive and convenient flow from kitchen to sports complex and beyond. This design blended with the mansion’s modern automation features make the property a true one-of-a-kind. One of the most interesting features of One Cornwall Terrace is its history. Originally built in the 1820s by architect Decimus Burton and overseen by John Nash, the mansion features notable architectural elements including a neo-classical Stucco elevation with Corinthian pilasters. The property’s two-story bay is outfitted by columns that resemble the Greek goddess Artemis. It was the official residence in London of the New Zealand High Commissioner from the 1950s to the 1970s and, recently, underwent an extensive overhaul before being placed on the market. How much would you pay for a mansion like One Cornwall Terrace? Sure, not everyone can purchase a swanky property like One Cornwall Terrace that is 336 times more expensive than the average UK home. However, regardless of your budget, ensuring the property you do purchase is worth the price is easy by assessing such factors as in-home automation, design and more. This entry was posted in My Blog and tagged contemporary design, europe, florida, great britain, Interior design, mansion, miami, One Cornwall Terrace, UK on July 16, 2013 by admin. Color Juxtaposition, the ones that do not normally work. If you ask a group of interior decorators what colors are not compatible with each other, you may be surprised to find out that many designers believe that all colors are meant to go together, but the shades, hues, intensity, saturation and amount of color needs to be tweaked for the best results. The color wheel is a way to assess the compatibility and contrast of one color to another. Primary colors are blue, yellow and red. The colors between the primary colors are called secondary colors and are made by mixing combinations of blue, yellow and red together. Mix red with yellow, and you create orange. Mix yellow and blue together, and you get green. Red and blue mixed creates purple. Therefore, orange, green and purple are considered secondary colors. Tertiary colors are primary and secondary colors that are mixed together. The six tertiary colors are red-orange, yellow-orange, yellow-green, blue-green, blue-violet, and red-violet. Colors look different depending upon the colors they are near. For example, a red square stands out on a white background but is hardly noticed on a brown background. The same shade of lavender will look reddish on a blue background and bluish on a purple background. Colors change drastically depending upon the colors around them. Color harmony is the midpoint between too many colors that may cause over stimulation and not enough color that is boring and uninteresting to the eye. Harmony is achieved by both trial and error, and by following some basic rules of color theory. There is a reason interior designers collect a variety of paint chips and fabric swatches in the process of renovating or redoing a living space. Even the trained eye of an interior designer may not be able to select the perfect color without trying out some combinations. Yellow-green, yellow, and yellow-orange are three colors that sit side by side on a 12-part color wheel. Any three colors next to each other are called analogous colors and usually are pleasant to the eye. Complementary colors, those colors opposite each other on the color wheel, also are deemed universally compatible. Some designers believe that if you follow nature’s palate of colors, it doesn’t matter what colors are placed next to each other. Designers will often use a picture taken from nature as an inspiration for color hue, saturation and intensity. This entry was posted in My Blog and tagged color, color juxtaposition, color wheel, contemporary design, decoration, fabric swatches, florida, Interior design, miami, paint chips on July 9, 2013 by admin.